Kashrut fraud is a major problem in Israel, and a new proposal by Deputy Minister in charge of Religious Affairs Eli Ben-Dahan would establish the first enforcement group that would make sure that restaurants, factories, and stores that portray themselves as kosher indeed are. Currently, there is little the Rabbinate can do in such situations, other than publicize the name of the offending establishment and warning Israelis not to eat their products. In order to prosecute serial offenders, the Rabbinate can build a case against a business for consumer fraud, but the process is difficult, because it generally requires cooperation from the business. The proposal by Ben-Dahan would solve those problems. If approved, the law would allow the Rabbinate to create a “kashrut police” division, with officers wearing uniforms and badges. The “kosher cops” would be empowered to demand that a food establishment present relevant documentation (receipts for ordered products, employee records), take samples for analysis, conduct searches in businesses and their trucks and vehicles, and remove expired or phony Kashrut certificates. The unit would also be empowered to interrogate individuals suspected of Kashrut fraud. 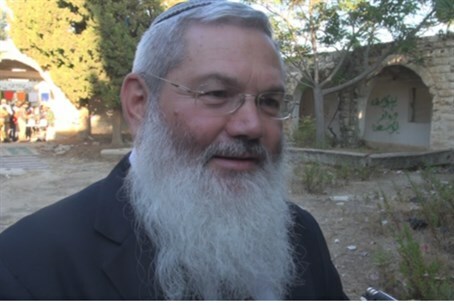 The powers would allow the unit to provide Rabbinate officials with the evidence needed to build fraud cases against offenders, Ben-Dahan said. “This law is necessary in order to regulate enforcement, and especially to restore the faith of Israelis, which has been badly damaged in recent years, in the Kashrut establishment. Kashrut inspectors have been hampered by a lack of authority, and Kashrut fraudsters do not fear the consequences of their actions. The law is designed to give inspectors the necessary tools to fight Kashrut fraud,” Ben-Dahan added.